rates in forest ecosystems will further constrain the range of possible root production rates. Published as Raich, J. W., and K. J. Nadelhoffer. 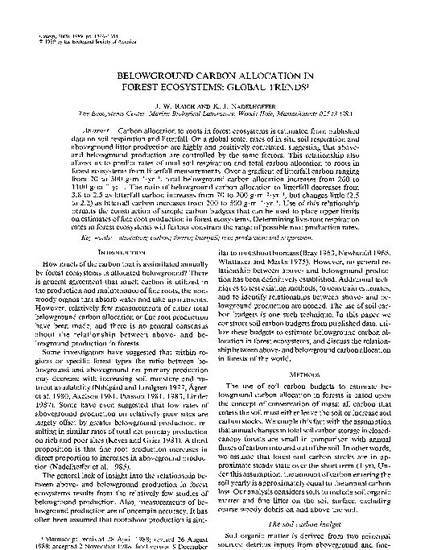 "Belowground carbon allocation in forest ecosystems: global trends." Ecology 70, no. 5 (1989): 1346-1354. Copyright 1989 by the Ecological Society of America.